Hi! 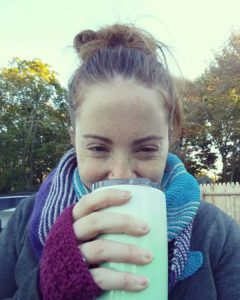 I’m Sarah and I’m the crocheter and knitter behind A Stitch in Time Designs. You’ll find I am an eclectic styled nerd, herbalist, retired derby skater, wife, and pet mom. I love to be cozy in hand made accessories. 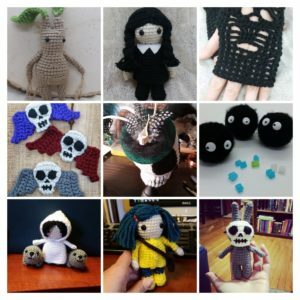 I sincerely enjoy seeing people love my handmade poppets and creatures. Nothing more satisfying than hearing a kid snuggles up with something you made every single night. I probably have too many fiber hobbies, but I try to stick to amigurumi and small accessories for the shop. Amigurumi is a style of tight crochet that makes the cute poppets and animals I list. It’s a fun way to make a yarn sculpture. It’s one of my favorite art mediums. To see what I’m up to be sure to follow me on Instagram and Facebook.